Co-Hosts Shannon Bentley and Kevin McClelland talk LA Kings hockey: Round 1 NHL playoffs, Columbus Blue Jackets sweep Tampa Bay Lightning, New York Islanders sweep Pittsburgh Penguins, Evander Kane vs. Ryan Reaves, Nazem Kadri suspension, Alex Ovechkin fights (KO’s) Andrei Svechnikov, LA Kings hire new Head Coach Todd McLellan. 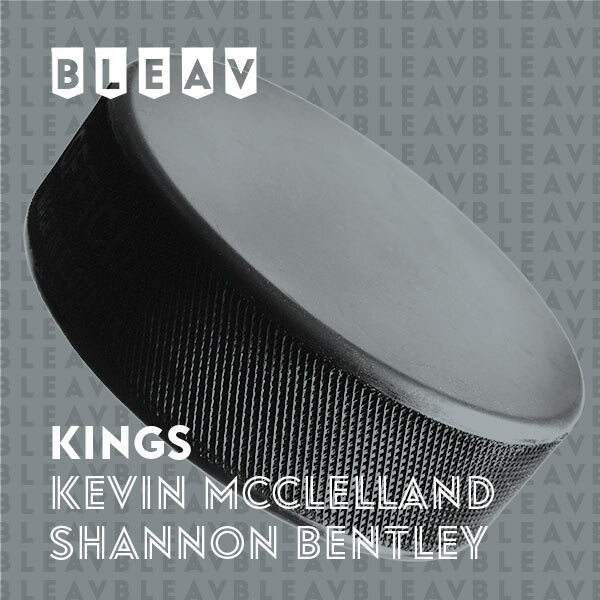 Co-Hosts Shannon Bentley and Kevin McClelland talk LA Kings hockey: NHL draft lottery, Blake Lizotte, future of the team and coaching staff, playoff match-ups, Stanley Cup predictions. Co-Hosts Shannon Bentley and Kevin McClelland talk LA Kings hockey: the playoff picture, wildcards, Kyle Clifford’s Gordie Howe Hat Trick, franchise records, goalie potential, and the Las Vegas Golden Knights.